I bought this pushchair for my son who was always on the heavier side, big boned I guess? This pushchair was brilliant. I always felt like other strollers where really flimsy and rickety for him. The seat is nice and wide and very comfortable. He loved the bar going across the front but you can also remove this if your child doesn’t like it. Typical umbrella fold, easy to push although is quite heavy. Decent size shopping basket underneath, good wheels. Very sturdy, can carry more than you think ! Overall the buggy is great for value as you can have it from birth onwards , the hood can open up all the way to cover and protect the baby which is awesome ! And the footmuff can be popped onto different lengths according to child’s size ! Amazing ! I bought this pushchair based on other reviews and recommendations I had seen, instead of buying a cheaper more affordable one. It's a great looking stroller and is very heavy and sturdy whilst still being very easy to push. My only irk with it is that the hood slides onto the frame and nothing locks it into place, so one side of it keeps slipping back out of place and coming away from the frame. My son is very comfortable in it and falls asleep in it often. It has a full recline which is perfect for naps and younger babies. The basket is small however and when the seat is fully reclined, access to the basket is very restricted! I am in love with this pushchair! It it amazing. 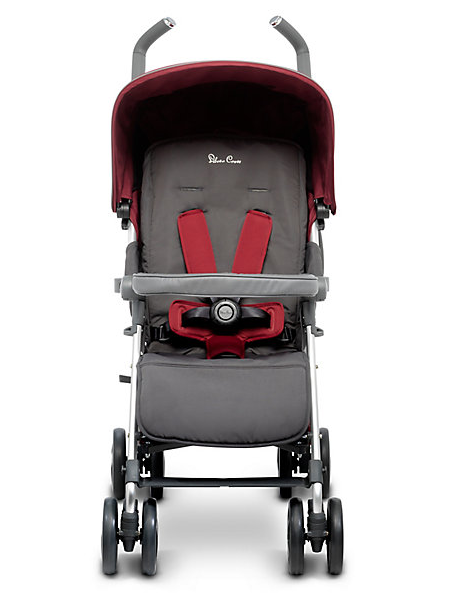 It has tons of room for baby as they grow and you can even attach the car seat that is compatible to the pushchair too! It is easy to fold and amazing to push on all surfaces (sand, path, grass) the only thing I could fault is that there is no cup holder but that isn’t a must. I love that the hood extends to keep the sun out of the baby’s eyes! It’s just an all round perfect pushchair! Easy to clean, easy to fold and get in/out of a car. Great pushchair my son loves it definitely recommend this to everyone easy to use and very light I've taken it on holiday and use everyday. Amazing pram my godson loves it. The flap to see through to where the child is sat is great for a worrier like me. After doing my research on the best stroller for an upcoming holiday I decided to go ahead and purchase the Silvercross Reflex. When it arrived I was very impressed and loved the look and feel of the stroller. My little girl was very comfy in it and it was perfect for our upcoming holiday! The day of our holiday approached and I was excited to be using the stroller for the first time - my little girl (then 8 months) was comfy in it and it was perfect! Off we went on holiday - it was easy to use around the airport and packed easily into the Silvercross storage bag we also purchased. On the second day of our holiday I was taking my little girl for a walk to get her to sleep. To exit the hotel there was a small ramp, as I went to go down this the handle came loose and I felt like I’d lost control of the stroller! My partner tried to fix the handle in place but it was well and truly broke - for the rest of the holiday we had to be so careful that the handle didn’t fall off completely! I was so disappointed as it cost quite a lot compared to others on the market and they are a reputable brand. I did manage to get a refund and returned the product following our holiday! I have since purchased a Maclaren stroller which is great! This is a best pushchair I ever got for my little one. I always recommend this to my friends and family. It has a good grip to hold and baby can get relaxed. Bought this product few months ago and love it its a solid sturdy stroller with strong adjustable handles comfy seat for little one and adjustable foot rest for little ones with longer legs. Amazing pram my son and I love it. Brilliant pram. Had for a very long time so started to wear. But had its use so needed to upgrade. Would definitely buy again if have another child. Comes in many different colours. Wheels are long lasting. Had this pram 3years now and still going strong been on 3holidsys abroad. Its light easy to move and reclines so child can sleep well. Couldn't recommend this pram enough. This is a great stroller. So reliable, it's a dream to push, has height adjustable handles for taller people. Fabrics can be stripped off to wash them. Seat is very roomy and also high for taller children. 5 point safety harness and reclining seat all great. Love the colour range only down side man for me are that the shooing basket is small and hard to access when the seat is reclined. The pushchair is really great quality and is built to last. ITs lightweigh and easy to pus. All round the pushchair is good. It isn’t lightweight and durable. It has a 5 point harness which is a little difficult, as well as extendable handles. The hood is extendable too which is brilliant for keeping the sun out and blocking out the light when baby falls asleep. It reclines flat too. It can be a little awkward to collapse but once folded fits perfectly in the boot of. Car. Lovely pushchair Perfect for newborn until child no longer needs a pram which makes it greater value for money. I love the pocket at the back of the hood you can use it for personal belongings or to put a nappy and wipes in for just in case events. This buggy is compact and seems to be built to last! I love the design too! I have found it really hard to fold down and I'm not a fan of the straps it's a struggle to fasten! Overall this pram was great value for money and is really sturdy and reliable and easy to push! I have issues folding it down and I'm personally not a fan of the straps especially with a wriggling one year old! But the design is great and it folds compactly! Would recommend this product as it's great for its price! I bought this for my tall 2 year old and at almost 4 years old now she is still using it and it still looks brand new. It came complete with liner, footmuff, bumper bar, car seat adapters and rain cover. I loved the little extras like the flashing discs in the middle of the pram so road users could see you in the dark, the extending hood is absolutely brilliant, totally covers for a nap in the summer sun, seat incredibly roomy and back made from breathable mesh so she never gets sweaty. Perfect for both of use to use, one being 5ft and the other 6ft4 the extending handles are also a great addition as is the large shopping basket underneath. The lie flat function is fabulous for the younger children to have a restful sleep in too. If it wasn’t magenta pink I’d be using it again for my son this summer! 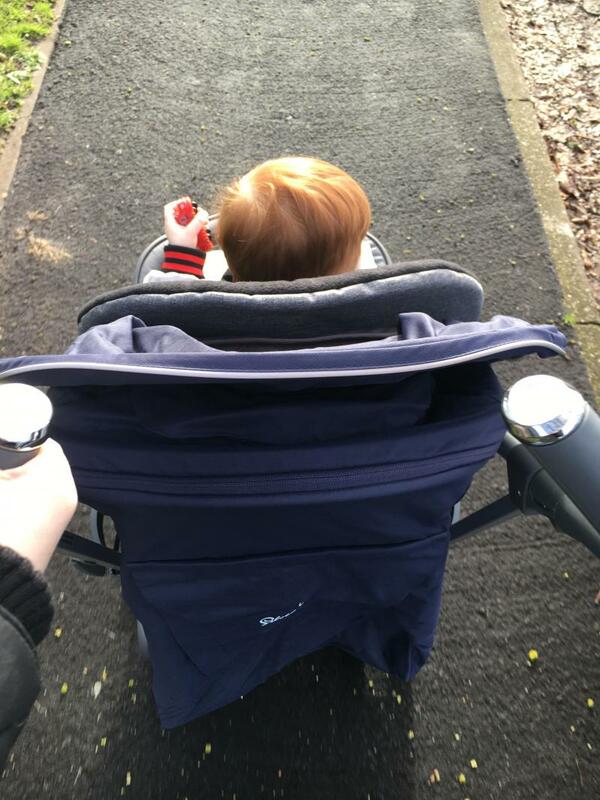 Absolutely love this pushchair i got it when my son was 9 month he is 3 now and still has loads of room , I mainly use it now for my daughter who is 1 , the pushing of it is fab can't fault it and I love the fact the hood goes all the way down and has a little window in the hood to see in. This is a brilliant seat!! My big 3 year old is comfortable in it. It’s easy to steer and can be folded one handed. 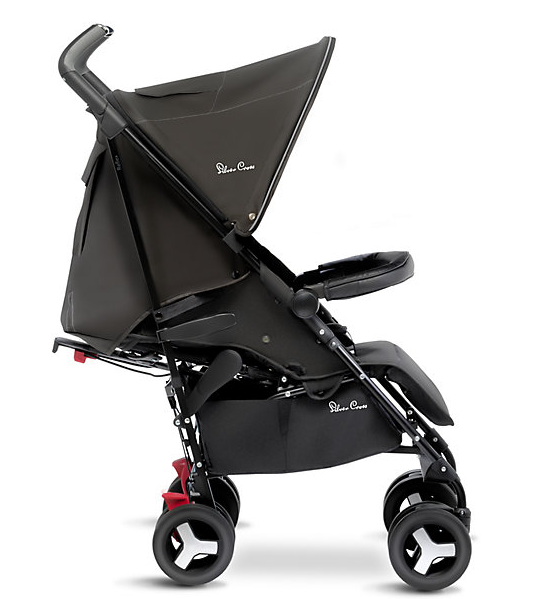 The Reflex is an overall brilliant buggy however it is on the expensive side. Rest assured that it is definitely worth the money due to its 0-25kg weight capacity!! I love this pushchair for my son as it does not tip. Its easy to collapse, love that the handles extend as I'm tall. Love the hood for sunny days. Absolutely love thus pushchair my lo has just turned 2 and he's quite a big lad but this is the only stroller I've had that holds his weight really well, basket is easy to reach is seat is lay down, love the extendable hood and the pocket at back, only thing i'm not a fan of it the seat sags a little as they get bigger at the front and 1 kick with the rain cover on the elastic snapped. Brought this as my son didn’t fit under his rain cover in his bugaboo donkey so thought I’d buy a stroller love it, he also loves it the seat fits him and I love the extending sun canopy which protects his eyes in the sun and makes it a bit darker when he naps, only down side is after 2months of having it the wheels are squeaking. I can steer it one handed and also fold it one handed which is fab. I will never use another make this is the best I’ve had for both my kids plenty of space and it’s comfortable and very lasting. Developed with baby's comfort and safety, the Silver Cross Reflex stroller is one of the most sophisticated strollers on the market. 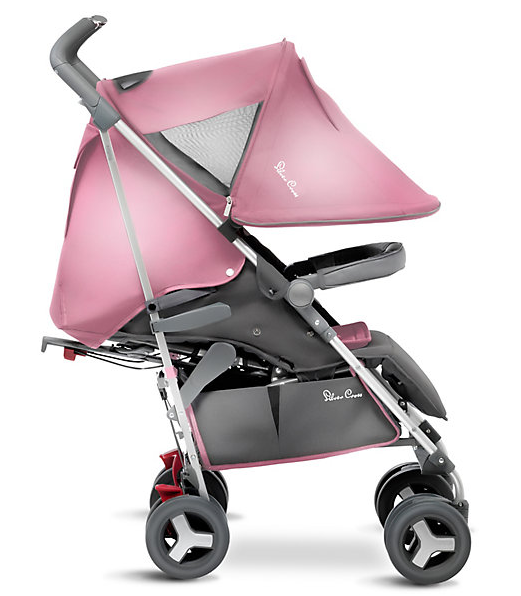 It is suitable from birth and features an extra roomy seat that has a uniquely shaped backrest to keep your baby feeling comfortable. 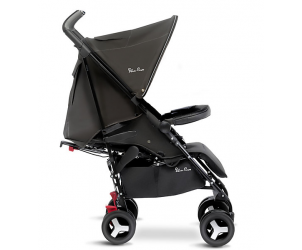 Practical and convenient, the Reflex converts into a lie flat pram with the newborn accessory pack. Alternatively, add the Silver Cross Simplicity car seat to convert it into a travel system.